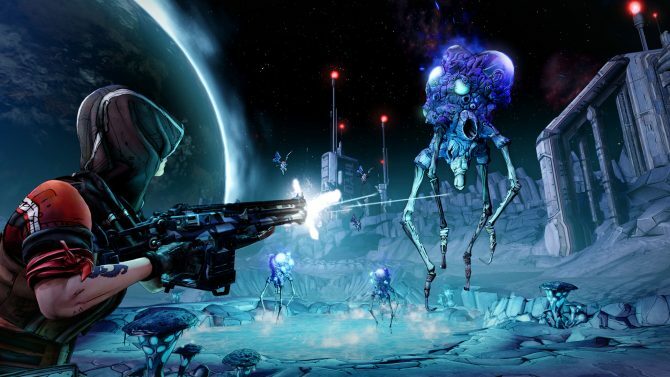 It’s no secret that developers aren’t a fan of review bombing — and Gearbox Software CEO Randy Pitchford can be added to that list. 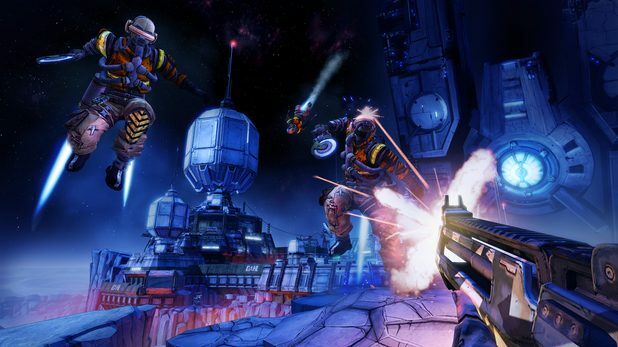 Following a wide-spread review bomb of Borderlands games on digital marketplace Steam, Pitchford is using it as a basis to defend Borderlands 3 moving exclusively to competitor Epic Games Store. Even if his claims make no sense. If you are even remotely following the gaming scene, you have heard of Epic Games’ active charge on the status quo, obtaining exclusivity rights for both new and old games alike on their platform Epic Games Store. 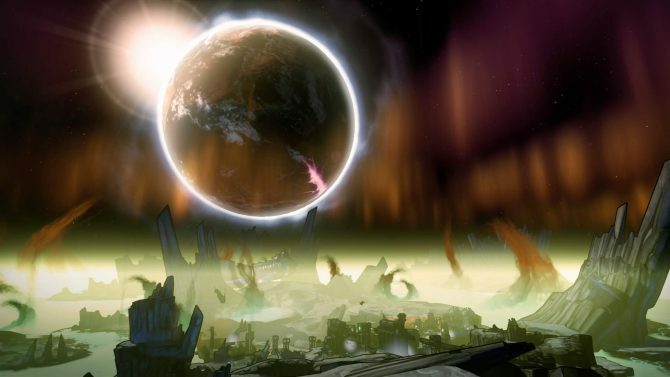 While developers and publishers are over the moon about competition and better fee deals, gamers are not nearly as pleased — often complaining about anti-competitive practices, a lack of features, and security flaws on Epic Game Store. 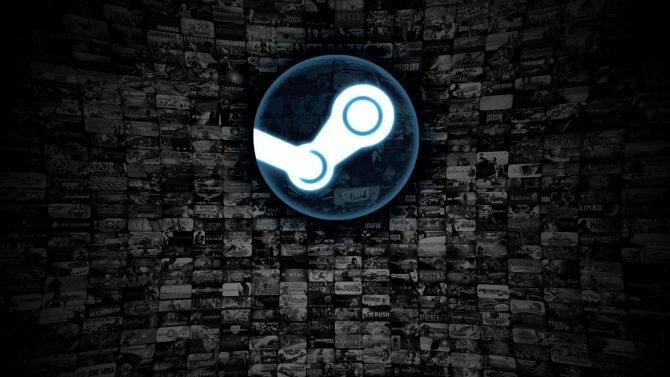 Though weirdly, embedded in his disapproval are some odd claims: “Steam has no interest in correcting this misuse” of review bombing, which both emboldens his opinion on publisher 2K Games decision to shift to Epic Games Store and may even impact developer Gearbox’s Steam strategy moving forward. So while many may disagree with content creator’s decision to switch exclusively to a platform that will generate them a better percentage of profit, using “review bombing” as a basis for switching to Epic doesn’t seem like a defensible claim. Similarly, review bombing (while obviously a massive inconvenience to game developers and publishers) can be seen from that lens — an imperfect means of everyday gamers to have their voices heard when no other avenue exists. 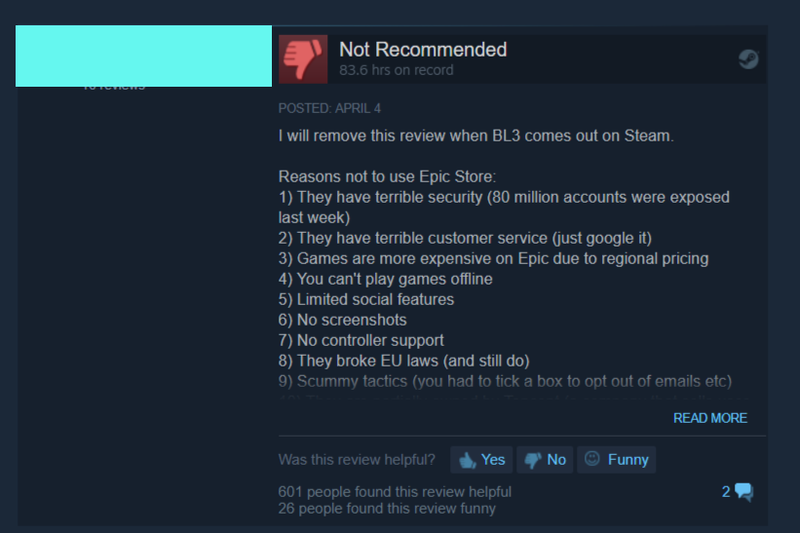 Though Epic Games Store removes the ability for everyday gamers to leave reviews, it would only solve in-service review bombing. Not the underlying problem, or the consequences it has on the communities or their mentality about a franchise and the direction of the developers. 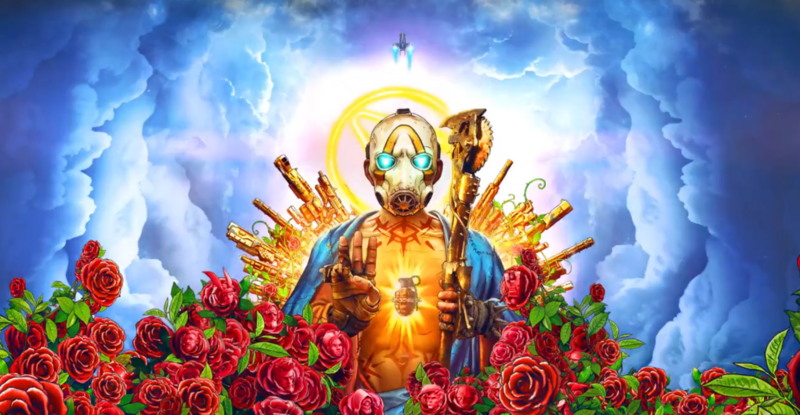 In any case, Borderlands 3 launches on PC (via Epic Games Store), PS4, and Xbox One on September 13, 2019; the game will come to Steam six months later, so long as Gearbox, 2K Games, and Pitchford don’t change their minds. You can pre-order the three various editions via Amazon now.